You have decided it is time to clean out your colon with colon hydrotherapy (aka colonics), and you are probably wondering what is the best way to prepare for your upcoming appointment. Colon Hygiene Institute, your colon health specialist in Las Vegas, suggests a few preparation tips that will help to make your colon hydrotherapy appointment as successful as possible. Once you book an appointment with Colon Hygiene Institute, we will give you some tips that are more focused on you, but these are some general tips you can follow to make the most out of your appointment. Hydrate. Feel free to add lemon, limes or mint to flavor your water, but the closer you can keep your water to pure, the better. And now is the time to hydrate. Make sure to drink a minimum of half your body weight in ounces of water. Err on the side of more water and not less. Juice. If you have a juicer, drink fresh juice one meal a day prior to coming in, if you can. Don’t bother buying any bottled juice--only drink fresh juice, as you lose the live enzymes in bottled juice. Fruits and Veggies. If you can go vegetarian a few days prior to your appointment, that would be great. 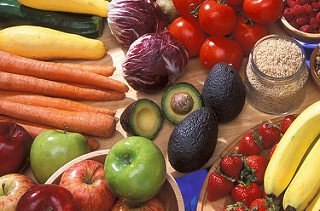 The more fresh, raw fruits and veggies, the better. If you must eat protein, stay with leaner meats like fish and chicken, and eat it with fresh vegetables. Depending on what time your appointment is, you will want to adjust your eating accordingly. Regardless, the lighter you can eat on the day of your appointment, the better. If you can stick to fresh juice and water on the day of, that would be best. You will want to make sure no eating or juicing 2 hours prior. A few days of preparation will give you the best results on your colon cleanse. If you have any questions on how to prepare for your colon hydrotherapy appointment, do not hesitate to call us. For more information, or to make an appointment in Las Vegas with Colon Hygiene Institute, please call us at 702-870-0704.